Senior citizens are some of the most vulnerable people in today’s modern society. It is devastating when I see reports of their abuse in the news and on social media. However, it is even more unbearable and disturbing when it happens to a loved one who might be forced into a situation where they are neglected and mistreated by a staff with no conscience. It seems to happen all too frequently that these workers are hired without going through the proper screening process that would keep them from interacting with our family and friends. However, there is technology available to help get the evidence needed to catch and put a stop to this type of abuse. This is why I am writing this article about the best spy camera for nursing home centers. With the proper video evidence, the nursing home and company can be sued since they are legally responsible for the patient who is under their care. So, while one can never truly nullify the effects of mental and physical trauma, there can be some types of reimbursement available through the filing of a personal injury or medical malpractice lawsuit. 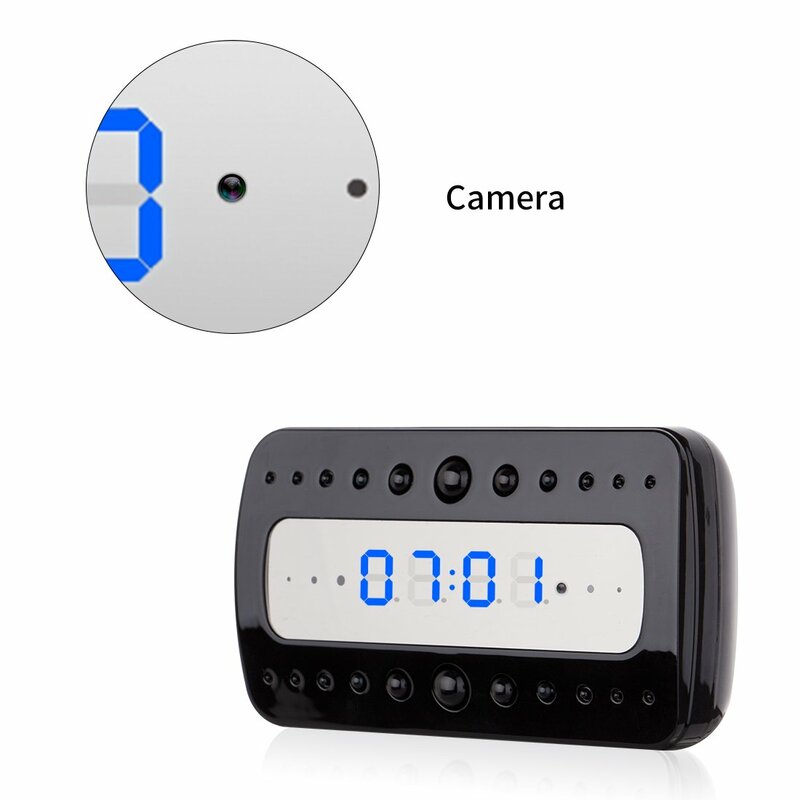 View WiFi Wall Clock Camera on Amazon. Knowing how to prove abuse is essential, and so let us take a look at the best spy cameras which can help to covertly get that nursing home abuse caught on camera. I have included a mini-review of each of these as they are each a best hidden camera for care home evidence gathering. It is estimated that 1 in 6 of the elderly population have experienced some type of abuse with the percent of what is actually reported to authorities being around a mere 7% of the actual occurrences. Protect your loved one by choosing a quality product with long battery life and audio capabilities. 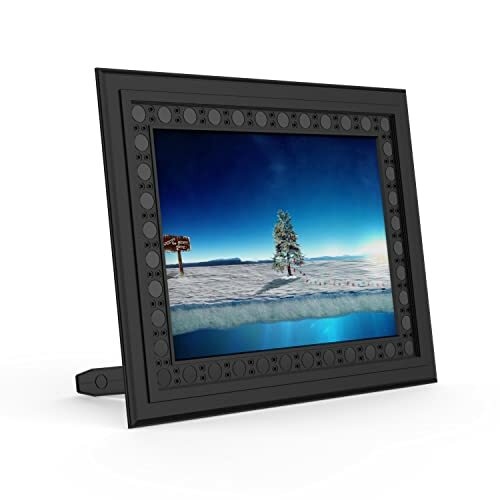 This is a photo frame hidden spy camera which has a camera lens that is so covertly placed that it may never be found even if you are looking for it and know that it is there. It has a myriad of features to cover every nursing home need to help catch abuse.The resolution of the camera is 1280*720P at 30fps. Conbrov has included their “black LED” technology which is invisible and has the capability of recording the subject at a range of 15 to 25 feet even in complete darkness. Audio recording can be toggled either off or on, and the microphone is such high-quality and sensitive that it can actually pick up sounds from other rooms.The SD card is not included with the spy frame, but it needs one which is a class 10 micro SD card with between an 8 to 32GB capacity for recording all of that stunning video footage. Daytime recording is about 30 hours with nighttime visual maxing out at about 10 hours. Motion activated standby can be ready for about 2 years overall. The built-in battery has a super capacity which is 10000mAh. Camouflaged as pen so that it can be used as a normal pen in order to defer any suspicions, but it will record when necessary whenever the user simply presses a button which is also how recording is turned off as well. Comes with 5 ink refills to keep the spy pen writing well into the future. 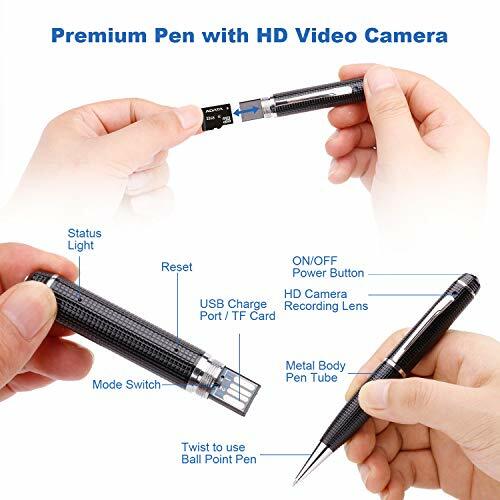 This is a spy pen with a hidden camera that makes for a perfect portable device that you can use to capture abuse and neglect of your loved ones wherever they are. It is very affordable and a solid investment towards ending mistreatment. Its not a Wi-Fi camera and so you don’t need a Wi-Fi connection to use it. 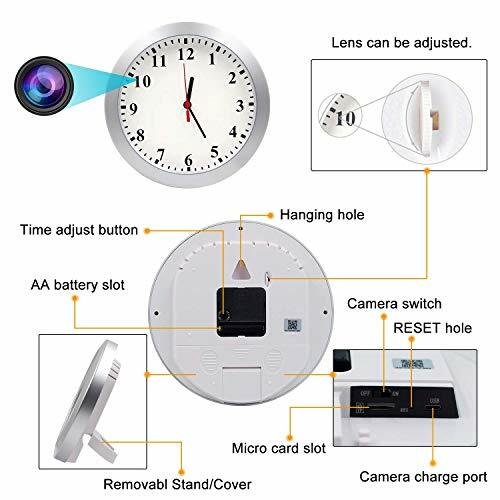 This is an excellent hidden camera in the form of a bog-standard wall clock which can be easily hung on the wall of a room or living area in order to capture everything that goes on in the room. 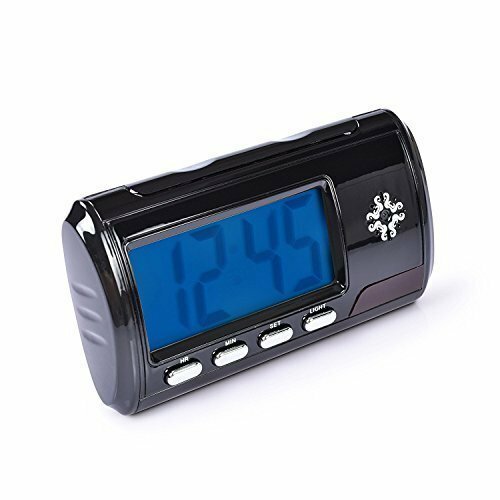 This is a great spy camera which doubles as an alarm clock so that it is not recognizable as anything other than an appliance to tell the time. It has a host of great features such as motion detection, a remote control, and others listed below. Unusually it has a PIR motion sensor that is more reliable for motion triggered recording. Unfortunately it doesn’t have a microphone. This is an excellent looking watch that you would probably wear even if it did not come with the discreet spy camera functionality. It is in a league of its own as one of the best discreet hidden camera for nursing home abuse prevention. This is another great alarm clock which holds the perfect hidden functionality that you need in order to gather evidence of nursing home abuse. 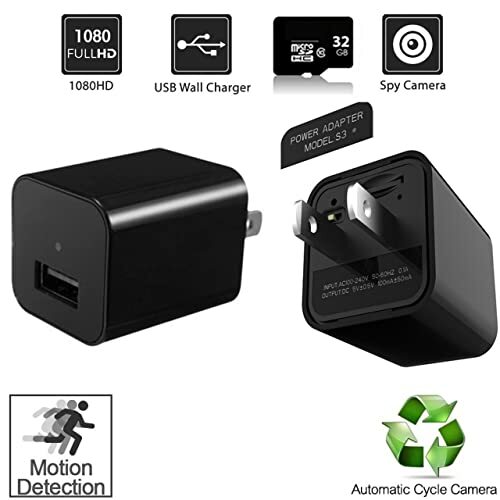 You will be able to catch abuse on camera with motion detection and auto-loop recording to keep the latest and most relevant footage on hand. This item is unique in that it looks just like a normal flash drive but holds the spy camera functionality necessary to monitor nursing home and care facility areas. This is a great entry-level hidden camera. This camera uses a novel packaging method to disguise it as a power adapter. Since it can draw power form the AC socket, you are no longer constrained by battery life. On the flipside, you cannot always control the location of the camera due to it being dependent on a power socket! So there you have it, these are my recommendations for the best hidden spy cameras for nursing homes and care homes in 2017. It is important that all instances of nursing home abuse be recorded and investigated in order to protect those who are the most vulnerable in our society. Any of the 10 great spy cameras detailed on this list should be a perfect tool to help accomplish that goal. With one of these you will be able to have the peace of mind to know that all is alright with your loved one even when you are not available to be there for them. Leave your thoughts below! I live in Georgia, were cameras are not allowed in residents room. However , I have I believe my mother might be being abused in some manner. But I would have to prove it . What are the consequences from the law if i put a hidden camera to only capture my mothers interactions with staff members.